Winter is here! 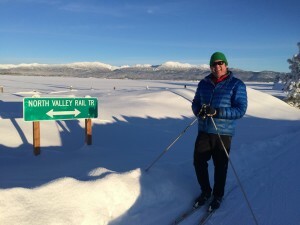 The North Valley Trail is being groomed on a regular basis for xc skiing, snow biking and snow-shoeing this winter. See the latest grooming report. 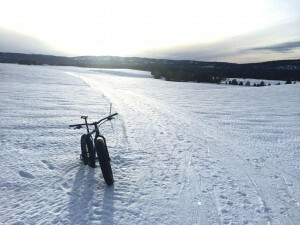 The trail can be accessed from the Activity Barn tubing hill area off of Moonridge Drive, south of McCall, or at the southern trailhead on Heinrich Lane, near the junction with Nisula. There are many neighborhood connections as well. At this point, there is no charge to use the North Valley Trail or Activity Barn trails in the winter. 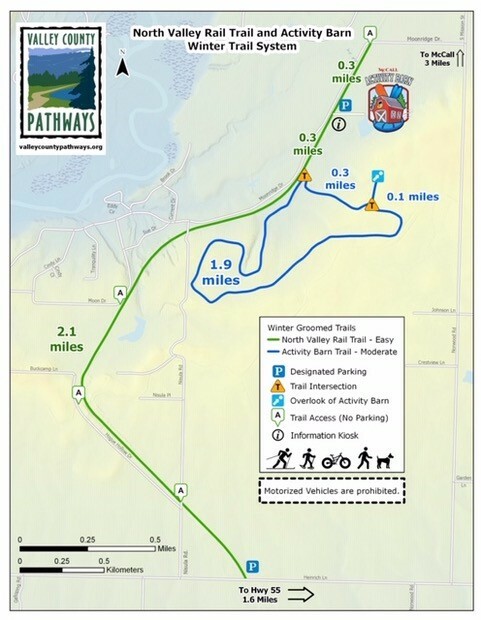 The grooming for the North Valley Trail is done by a volunteer, so we appreciate any financial contributions to help cover our expenses — things like fuel, equipment maintenance and insurance. To contribute to Valley County Pathways, see our donate page. 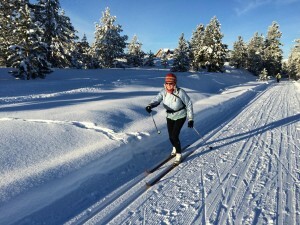 For the latest conditions on all of the Nordic trails in the greater McCall area, go to McCall Nordic.